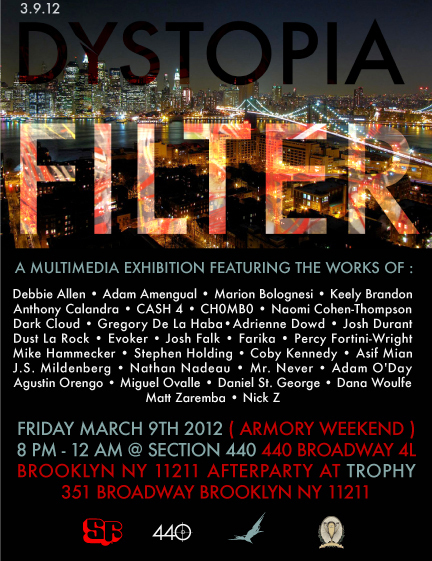 I am pleased to be a part of the third edition of Dystopia Filter, showing with an amazing group of artists...including a bunch of folks from from Boston. 8pm -12am 440 Broadway 4L, Brooklyn, NYC. After party at Trophy 351 Broadway, Brooklyn. I will also being showing some old and new photos with Natasha Moustache, Michael Young, and Sandy Poirier at the Fairmont Battery Wharf in part with the Flash Forward Festival. This will be a open to the public for one night only. 5pm-10pm with sounds provided by DJ Leah V.